Understanding the usefulness of collateral requirements: In particular, focusing on the trade-off between the financial stability benefits of central clearinghouses, and the funding cost of increased collateralization levels. Predicting externalities by risk-shifting: This study designs a model for measuring the extent of risk-shifting incentives and their triggering mechanisms. Assessing the impact of clearinghouse competition: This study is designed to help regulators understand how clearinghouses compete with each other, and to help them in taking preventative measure to avoid clearinghouse monopolies. 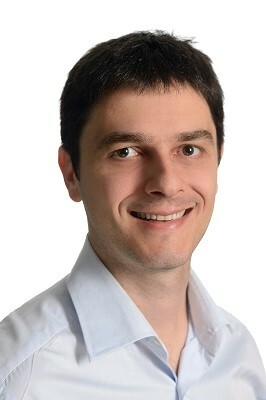 His main research interests are in the area of networks, with a special focus on systemic risk, contagion, and control. In the context of financial networks, the outcome of his research contributes to a better understanding of risk management practices, and to assess the impact of regulatory policies aimed at controlling financial markets. He has been awarded a grant from the Institute for New Economic Thinking for his research on dynamic contagion mechanisms. His research has been published in top-tier journals of Operations Research, Mathematical Finance, and Financial Economics, including Operations Research, Mathematics of Operations Research, Management Science, Review of Asset Pricing Studies, and Mathematical Finance. His work has also been published in leading practitioner journals and invited book chapters. Agostino is a frequently invited speaker at major conferences in the area of systemic risk. He has on-going collaborations with several governmental institutions that are tasked with the analysis of financial networks data, in particular the US Commodity Futures Trading Commission and the Office of Financial Research. Agostino holds a world patent for a target tracking methodology in military networks.